Just as all bodies are beach bodies, all books are beach books—it just depends on the reader—and in compiling this list, we're assuming that readers are looking for books that are rich, enveloping, and formula-defying. From this eclectic selection, you're sure to find a book or two (or three) that fits you perfectly. About the book: Tess and Jude live in small-town Quebec and spend their time travelling all across North America—using Google maps—which provides them the luxury of adventure while remaining in the comfort of their own home. But Tess and Jude are dreamers, and their online adventures eventually give rise to a desire to actually travel somewhere. They settle on Bird in Hand, Pennsylvania, and begin scheming to raise the cash they'll need for the trip. After a series of hilarious ideas that never pan out, they turn to a local experimental author (who has a major crush on Tess) and convince him to apply for an arts council grant on their behalf. But when they actually receive the grant money, can the pull it all together for a real adventure? Funny, smart and wonderfully human, Document 1 is a tragicomic tale of two dreamers and their quest for adventure, as well as a satirical take on the world of letters. Why we're taking notice: Maybe the perfect staycation read? This is a novel about a couple that puts the ACK! in "slacker," quirky and off-beat with a metafictional bent. About the book: When his most celebrated case is suddenly reopened, Detective Chief Inspector Jejeune‘s long-buried secrets threaten to come to light. Meanwhile, his girlfriend, Lindy, faces an unseen threat of her own, one from which even Jejeune may not be able to protect her. Between fending off inquiries from the internal review and an open murder case that brings more questions than answers, Jejeune will have to rely on the help of the stalwart Sergeant Danny Maik more than ever. But Maik is learning things that cause him to question his DCI‘s actions, both past and present. In the current case, and in the former one, the facts seem clear enough. But it is in the silences, those empty spaces between the facts, that the truth is to be found. 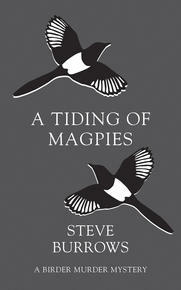 Why we're taking notice: Because a new Birder Murder mystery is a highlight of migration season for those of us who prefer our birds to be bookish, and readers who've been following the series will be excited to learn the details of the big case whose baggage Jejeune has been carrying with him through the years. 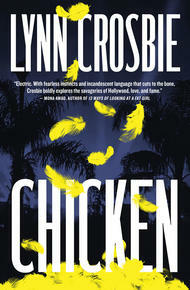 About the book: Set in lesser known parts of Los Angeles, Chicken uproariously, grievously, relates the collision and inevitably ruinous paths of two incendiary figures. One is the once beautiful and famous Parnell Wilde, a maverick actor arrogant in his orgiastic fall. The other is Annabel Wrath, a much younger, idiosyncratic cult filmmaker with contradictory motives for seeking the older man out. The two are profoundly altered by their meeting and its unlikely denouement and manage to wrest each other, however briefly, from their dizzying spirals of decline. But when Parnell is offered the chance to perform in the sequel to Ultraviolence, the feature film that made him famous, and to work again with its brilliant but merciless director, he and Annabel are forced to confront their demons as the extreme and fleeting world of fame threatens to divide them. Why we're taking notice: Crosbie's novels tend to become cult classics, and this one's getting lots of love on social media and in reviews. About the book: Ayesha Shamsi has a lot going on. Her dreams of being a poet have been set aside for a teaching job so she can pay off her debts to her wealthy uncle. She lives with her boisterous Muslim family and is always being reminded that her flighty younger cousin, Hafsa, is close to rejecting her one hundredth marriage proposal. 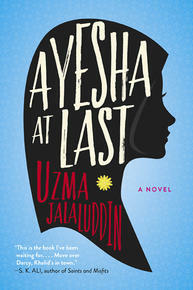 Though Ayesha is lonely, she doesn’t want an arranged marriage. Then she meets Khalid who is just as smart and handsome as he is conservative and judgmental. She is irritatingly attracted to someone who looks down on her choices and dresses like he belongs in the seventh century. Why we're taking notice: Billed as "Pride and Prejudice with a modern twist," this debut by Jalaluddin (whose writing you might know from her Toronto Star column) has been getting so much buzz. About the book: America is in the grip of a deadly flu pandemic. When Frank catches the virus, his girlfriend Polly will do whatever it takes to save him, even if it means risking everything. She agrees to a radical plan. Time travel has been invented; if she signs up for a one-way trip into the future to work as a bonded labourer, the company will pay for the life-saving treatment Frank needs. Polly promises to meet Frank again in Galveston, Texas, where she will arrive in twelve years. 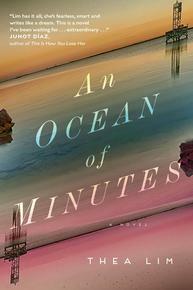 Why we're taking notice: Everyone's talking about this book, too, with An Ocean of Minutes being compared to Station Eleven. 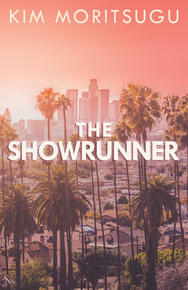 About the book: Rising-star showrunner Stacey McCreedy has one goal: to leave behind her nerd-girl origins and become a power player—like Ann Dalloni, her former mentor and current producing partner. Ann, meanwhile, is feeling her age and losing her mind. But she’ll be damned if she cedes control of their hit primetime TV show to Stacey. Why we're taking notice: Okay, I'm only on page 197, but this one is on the list because I absolutely cannot wait to get to the end and find out what happens, which is the best way to feel while reading a book. Full disclosure: Okay, maybe I peeked at the final pages and things get a little bit murderous. 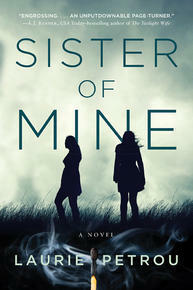 Why we're taking notice: Small towns, secrets, a gothic bent—this is a story that will twist your brain as you wonder who is the good guy and who is the bad guy, just another way in which these sisters will never be divided. About the book: When Henry Robinson's first daughter, Starr, is born with Williams Syndrome, he swears to devote his life to making her happy. More than twenty years later, we find Henry working at Frankie's Funhouse, where he repairs the animatronic band that Starr loves, wrestling with her attempts at living outside the family home. His wife, Kathy, wishes he would allow Starr more independence, hoping that Henry will turn his attention a little more to their own relationship and to their other daughter, who is pregnant. As tensions mount Henry's young co-worker, Darren, reveals he needs to get to Chicago Comic Con to win back his ex-girlfriend, so Henry packs Starr (and her pet turtles) and Darren (still dressed as Frankie the mascot) into the van for a road trip no one was prepared for. 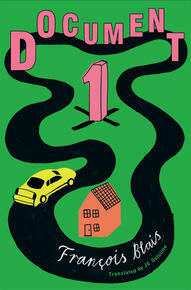 Told in multiple points of view, we hear from Henry, Darren and Starr as they all try to find their place in the world. 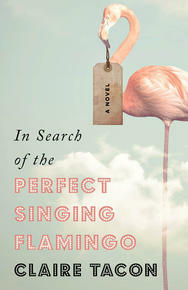 In Search of the Perfect Singing Flamingo is a charming, tender and often funny story of a father struggling to let his daughters grow up and of a family struggling against hard odds, taking care of each other when the world lets them down. Why we're taking notice: This ambitious novel is glorious, and such a triumph. If you want your faith in humankind (and also the possibilities of literature) to be rekindled, pick up this book.